The application of multiobjective models and methods in a vast range of problems in the energy sector has been a consolidated practice in the last four decades. The need to consider explicitly multiple axes of evaluation of the merits of solutions in decision processes, generally involving large investments as well as social and environmental impacts, has led to the recognition of the potential benefits of multiobjective optimization approaches. Trends such as the increasing share of renewable sources in the energy generation matrix, the evolution towards smart grids involving the deployment of information and communication technologies, the dissemination of electric mobility and the consumer empowerment by means of the utilization of demand-side resources introduce challenging problems for which the capability of multiobjective models and methods to explore and provide assistance in the appraisal of well-balanced solutions is of utmost importance. 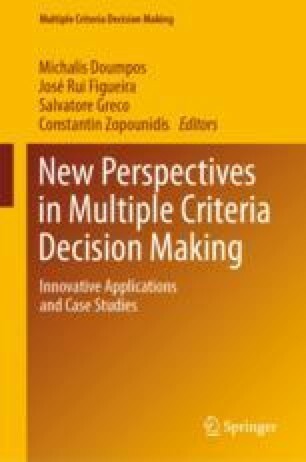 This chapter aims to offer a broad view of some of the most challenging problems concerning the application of multiobjective optimization models and methods in the energy sector, with focus on electricity smart grids, outlining promising research avenues in problems of planning and operational nature. This work was supported by the Portuguese Foundation for Science and Technology under strategic project grant UID/MULTI/00308/2019 and R&D project grants ESGRIDS (POCI-01-0145-FEDER-016434) and MAnAGER (POCI-01-0145-FEDER-028040).